I was never a fan of the gimmicky roof, but put the top down and give me 12 cylinders and a gated shifter any day. 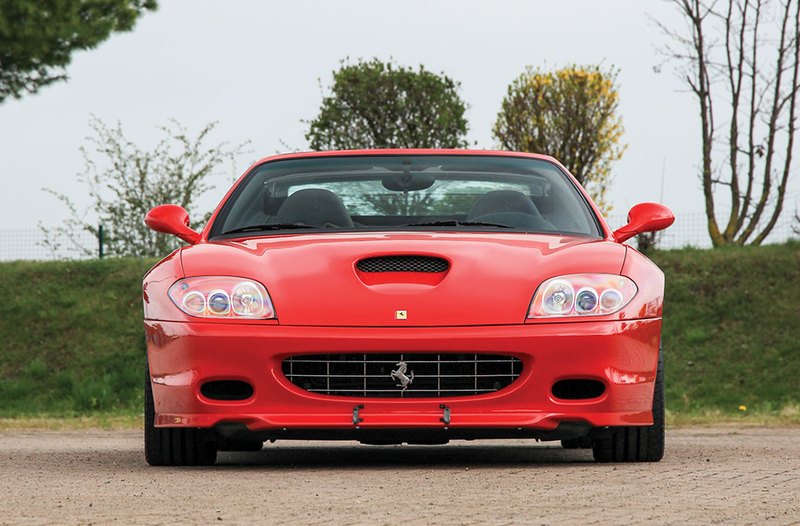 One of only 43 manual transmission Ferrari 575 Superamericas ever produced is up for auction today at the RM Villa Erba auctions. Estimates start at 550,000 Euro, so bid early and bid often! If that’s a bit out of your budget, there’s also a manual transmission 550 Barchetta that’s estimated to fall between 360k and 400k Euro. Also on the block....an Enzo, a La Ferrari, a Porsche 918 Spyder, a 1993 Porsche 911 Carrera RSR showroom time capsule with LESS THAN 10 MILES, a McLaren P1 GTR, a Ferrari F40, and lots of other cars you can’t afford, like a Porsche 959. *All times are shown in the time zone in which the auction is conducted.